Don’t miss Marlena’s farewell to Guiding Light on blogtalkradio’s Brandon’s Buzz at 11 a.m. Wednesday, Sept. 16 or later on the network’s archive. In March 1992, Guiding Light reached the apex of soap quality, that perfect blend of excellence in writing, acting and production. I thought it had everything going for it to reach #1 in the ratings. Here’s my column from Soap Opera Weekly, March 2, 1992, Volume 3, Issue 9, in which I analyzed this blueprint for building a perfect soap. A framed copy of this column hung over the desk of GL’s then executive producer Jill Farren Phelps for the duration of her stay there. Intelligence, integrity, heart — GL had all three. It was a soap that not only deserved to rise to the top of the ratings, but should have stayed there forever. What a tragedy we are losing America’s oldest and historically beloved soap on Friday. Farewell, Guiding Light. You were glorious! 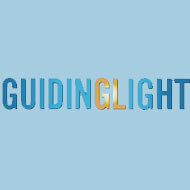 Guiding Light: Keep It Burning! Thinking Fans cherish Guiding Light memories: Levi recalls, “(GL) was a show my grandmother and I talked about on the phone and watched together. Even on her deathbed, we still talked about our favorite soap” … while Jonathan Reiner declares, “Losing GL is not just a blow for the genre, it’s a major loss for 20th Century Americana” … and David C. worries, “Now, the show has been allowed to die a good death. But is that death the beginning of the end of the U.S. daytime soap genre as we know it?” … and more. See Comments below. And that’s how it feels now for Guiding Light (incidentally, a show Reilly was a co-headwriter for in the early 90s.) As of this writing, GL‘s fate is officially undetermined, but last night trade stories (like this one) appeared that say official word of cancellation may be near. That cancellation would affect everyone in the soap community. Chances are, if you are a longtime soap watcher, you watched and loved Guiding Light at some point, or you watch and love it now. So many generations of fantastic soap actors have passed through the show. Over six decades of its remarkable life on TV and radio, the town of Springfield has been a very real place. Losing GL would not only be the loss of a media institution, it would be the loss of a piece of America that belongs to all of us. The way its very human drama has reflected life in America all these decades, it is us. Losing someone you love is one of the hardest experiences you will ever have to go through. If you have ever cared about someone who has died, then you know the palpable heartache that brings pain throughout your entire body. But if you have ever lost a child, then you will understand the overwhelming anguish and paralyzing rage that has overtaken Buzz Cooper these days on Guiding Light. Soap February: Blame Executive Malfeasance! Thinking Fans Comment Update: BL avers, “I have to say the line (on AMC) about how lesbians don’t kiss men was perfect, because why would they?” … Carl posits, “GL has been so much about nasty thugs over the past few years, Phillip’s return is a way to bring a more heroic character back into the spotlight” … while Melanie warns that GH “is on Maxie Overload and needs to quit before there’s a serious Maxie backlash (hello Sonny! )” … and more. See Comments below. Fans usually blame headwriters when soaps are bad. But ultimately, the real blame lies with daytime network executives who have the final power of approval over what we see on our screens. Last month, judging by the very questionable, sometimes downright illogical and nonprofessional quality of the drama I saw on screen, I’d venture to say that these daytime execs (and their publicity and marketing minions) are very sloppy, asleep at the wheel, or just don’t care at all what they put on screen everyday. Why present a heavily publicized lesbian wedding if the whole plot leading up to it is going to greatly anger lesbian viewers? In an earlier column on All My Children‘s headwriter Charles Pratt, I naively got excited over the acting possibilities of a Bianca-Reese-Zack love triangle. I received dozens of letters from female fans who said they didn’t want either gay character to get involved with a man. D’Oh! Of course they don’t! Thinking Fans’ picks and pans for 2008: Cherry Ames pans Todd/Marty as “the foulest story ever” … DSO816 picks the Angie/Jesse reunion … while Marlene agrees GHNS2 set the bar higher for all soaps … and more. See Comments below. Last year I decided I will no longer do “Best” and “Worst” lists for soaps. After all, there have been so many “worsts” this year (real life deaths, superstar firings, General Hospital limosex and other tasteless storylines, wasted returns of some soap veterans), why would I want to re-inflict the pain on you?